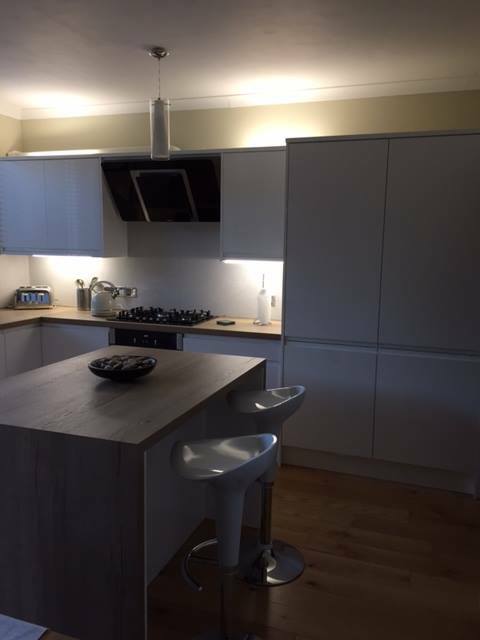 This is a white gloss door with a Egger laminate square edge worktop that was recently fitted in Newtownards, Northern Ireland. It has been designed with a small island allowing 2 seats to fit around the box effect breakfast bench. There is a under mount oven and a 5 ring gas hob including a slanted extractor fan to allow for more over head cooking space.